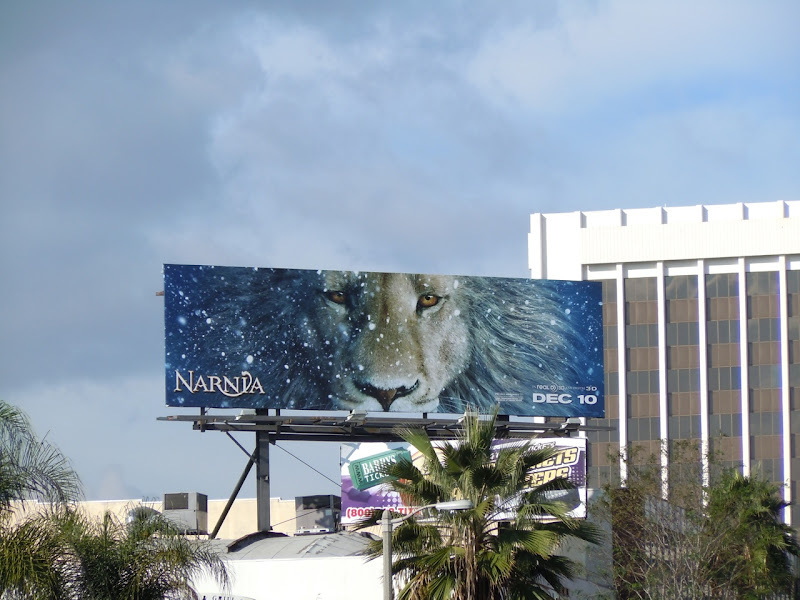 This teaser billboard for the next installment in The Chronicles of Narnia really stands out along Ventura Boulevard in Sherman Oaks. 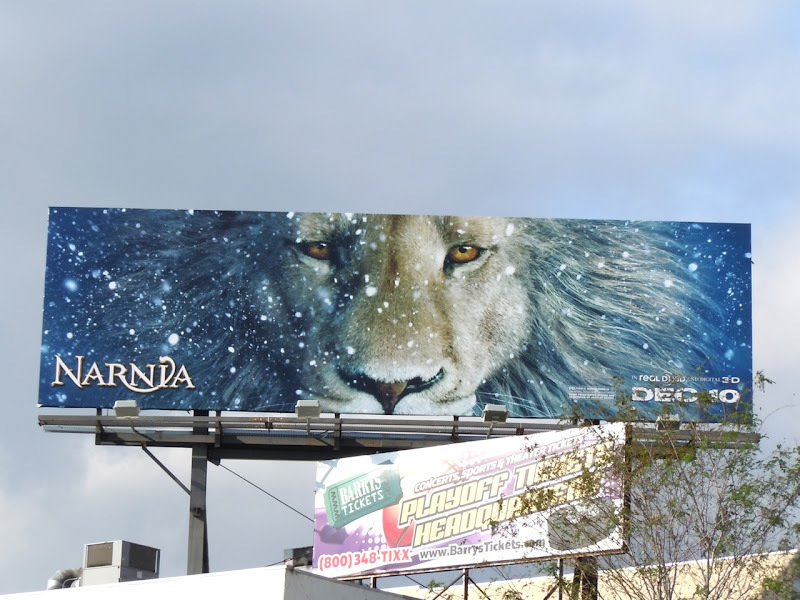 If you're familiar with the children's fantasy franchise, the imagery of the lion Aslan immediately let's you know this is a Narnia billboard, and if you don't it's still an arresting image with an evocative wintery feel for the holiday season. 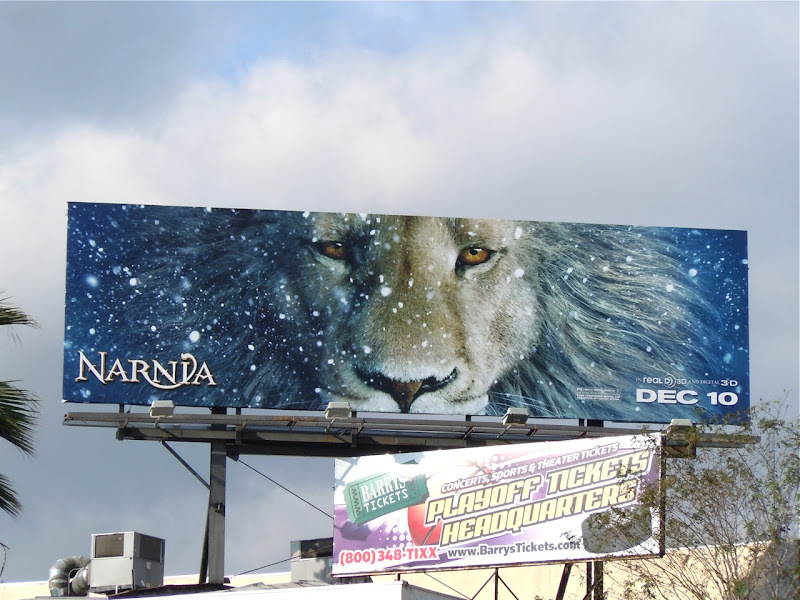 This billboard for The Voyage of the Dawn Treader was snapped on November 7, 2010. Be sure to also check out these original costumes and props from The Chronicles of Narnia movies.